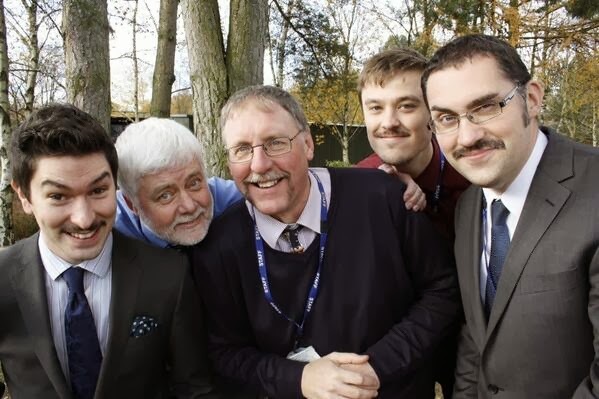 NLC's Derek Hopkinson (pictured in the centre) along with colleagues from Highfield's School took on the Movember challenge to grow a stylish tache during the month of November this year. The purpose is two-fold. Firstly to raise awareness of serious health issues affecting men and the importance of ﻿reporting any early signs to a doctor asap. Secondly through sponsorship to raise money to help fund research. Thanks to the generosity of everyone at school, church, family and friends they have raised a lot of money this year and grown some quite amazing moustaches!.